Imagine eating a great-tasting, nutritious meal, and then not feeling hungry again for 48-72 hours. It may sound like something from a science fiction movie, but if John Frostad has his way, a controlled release food product could eventually become a reality. As a chemical engineer, Frostad is interested in knowing more about how things work in order to make them better, more efficient or more cost effective. Originally from Spokane, Washington, Frostad might not have become a chemical engineer at all – in fact, he was considering not going to college – if it hadn’t been for his high school guidance counsellor. “My counsellor was adamant that I go to college and she helped me get a full ride scholarship to Eastern Washington University,” he said. A year later, he transferred to the University of Washington, where he earned a BS (with honors) and then a PhD from the University of California, Santa Barbara, both in chemical engineering. 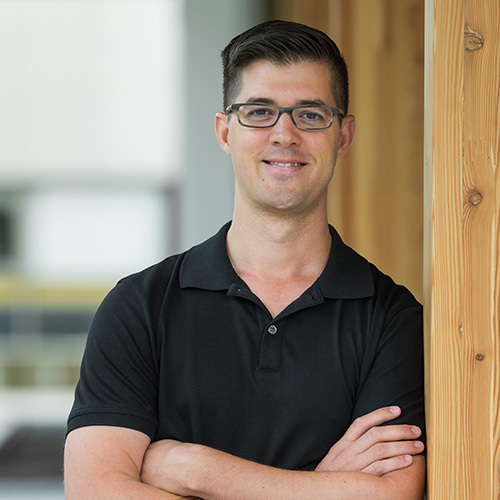 Before joining UBC in July, Frostad was a research chemical engineer at Bend Research (a division of Capsugel) and a postdoctoral fellow at Stanford University. Frostad would like to branch into functional foods, which are foods that have been enhanced in order to make them more nutritious, such omega-3 fatty acids enriched eggs. “I’ve long been interested in food and food systems, and I’m looking forward to applying chemical engineering to food related research,” he said.